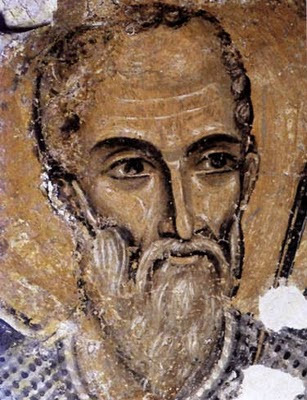 Nicholas of Myra (270-343), more commonly known as St. Nicholas, was a leader in the early church from the Persecutions of Diocletian through the Council of Nicea. He grew up in what is modern day Turkey and served as Bishop of the city of Myra. When our kids were very young, we heard about families that celebrated a "St. Nicholas Day" of sorts. The idea is to give kids most (or all) of their Christmas gifts a week or so earlier and try to refocus Christmas on Christ (gee, imagine that), making Christmas centered more on the birth of Jesus and the Incarnation - and less on the "gimme gimme - want want" greed-fest that the holiday seems have to degenerated to. Historically, Christians in other countries celebrate St. Nicholas Day on December 6th. Our family's celebration has less to do with a church calendar and more about trying to experience Christmas differently. 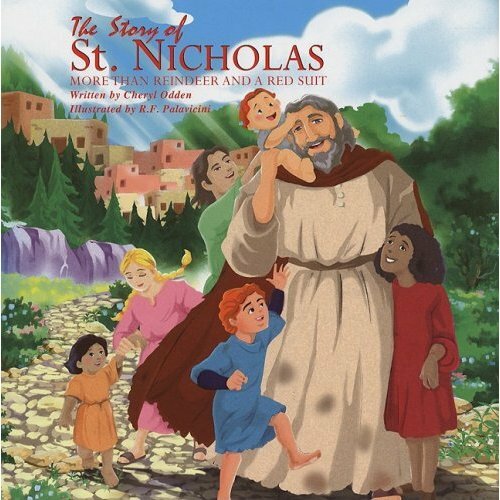 As our kids have gotten older, we've been able to introduce them to St. Nicholas the man. His story is really incredible: born into a wealthy family, orphaned as a young child, a committed follower of Jesus Christ, a leader in the church when Christianity was still very much illegal, years of imprisonment during the violent persecutions under the Roman Emperor Diocletian, freed after the Edict of Toleration in AD 313, a participant in the Council of Nicea . . . and - of course - generous in his gifts and concern for widows, orphans and the poor. 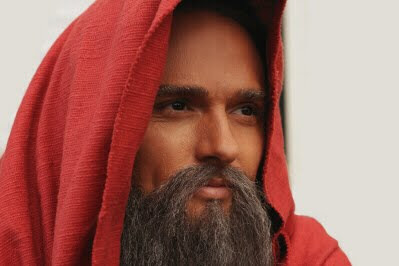 The life of Nicholas of Myra is being made into a film, with Matthew Mesler (above) playing the role of St. Nicholas, apparently set for a Christmas 2010 release. 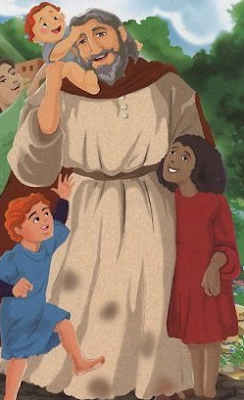 So how did an imprisoned Christian bishop of the persecuted church and signer of the Nicean Creed morph into the fat dude with flying reindeer and a sack of toys? The 1823 poem Twas the Night Before Christmas are arguably the best known verses ever written by an American. According the wikipedia article, "this single poem is largely responsible for the conception of Santa Claus from the mid-nineteenth century to today, including his physical appearance, the night of his visit, his mode of transportation, the number and names of his reindeer, as well as the tradition of bringing toys to children." 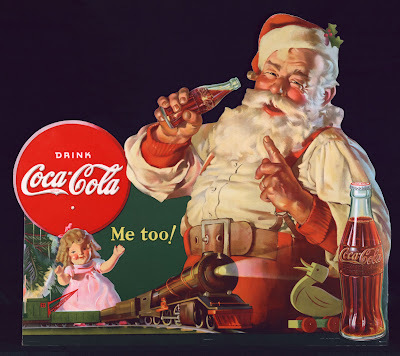 Ads like this one from the good people at Coca Cola helped solidify Americans' image of "jolly old St. Nick" (hey, even Santa gets thirsty, right?). Imagine Mother Teresa in an ad like this - you get the idea. 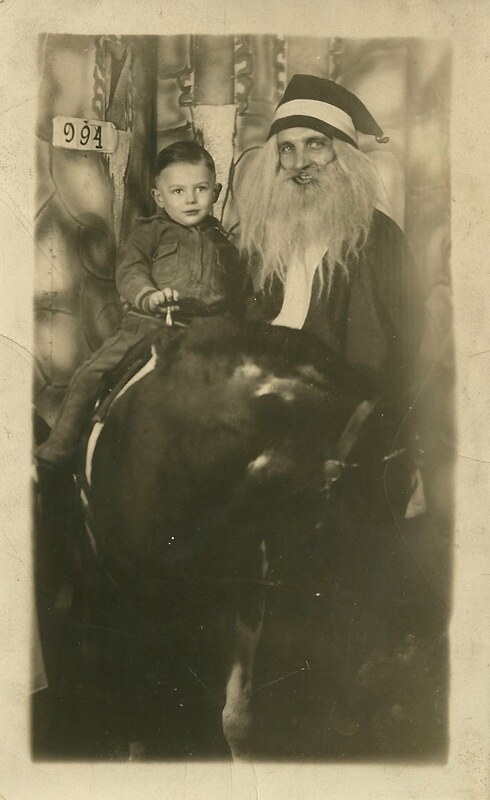 Speaking of ghosts of Christmases past, I found this pic of my dad with a very ethnic looking St. Nicholas taken when he was a kid in Chicago around 1931. Pretty scary looking Santa: maybe why my dad wasn't smiling. Gotta love the horse, too. 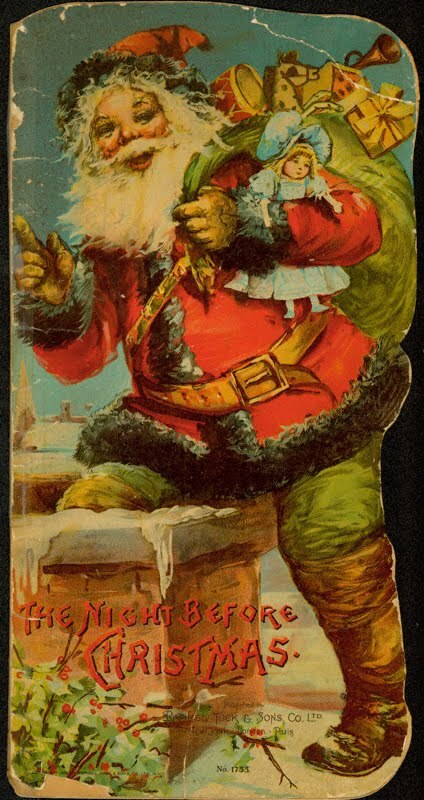 It's unbelievable how quickly the image of "Santa" has changed, even here in the USA. Back to our family's celebration of St. Nicholas Day. Our kids, of course, have really embraced it. Hey, what kid doesn't want to get toys (at least from their parents) a week before Christmas? But it's also been a chance for us to talk about a man of faith who walked with God during some incredibly challenging and turbulent times, and to learn from and imitate his generosity and concern for others, especially the poor. One of the best resources we've found on the life of St. Nicholas is author Cheryl Odden's The Story of St. Nicholas: More Than Reindeer and a Red Suit, available here. It's a great way to introduce kids or grandkids to a great man of faith. Gene Edward Veith wrote a humorous and insightful article for World Magazine a few years back about St. Nicholas and what he half jokingly called the "Santa Slap." Classic article - love it - really worth reading (if you have trouble viewing the entire article on the World site - it's also available here). Merry Christmas - and Happy St. Nicholas Day. We have that book and love it too!